I spotted 2 new additions to the Galaxy Note 2 collection on fastcardtech this morning. There are now a total of 4 different versions on Fastcardtech now. So to help buyers choose their phone, here is a breakdown of the differences. This version is the one that I have and very happy with it. 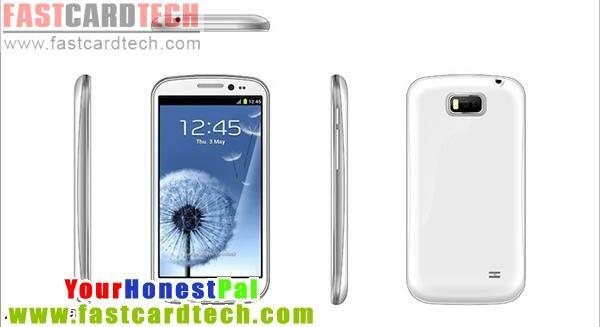 It is a 512mb version and this phone is now on super promo at $179 with free shipping (11dec) to several countries. This is identical to a Zopo ZP900S or Zopo ZP900 Lite and the ROM can also be used on this phone as I am using now. Build quality is top notch. Zopo promises Jelly Bean update sometime later. 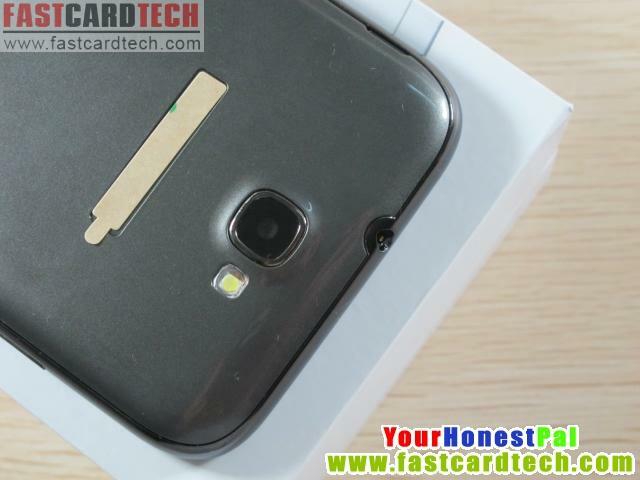 Click here to view or buy the phone from Fastcardtech. 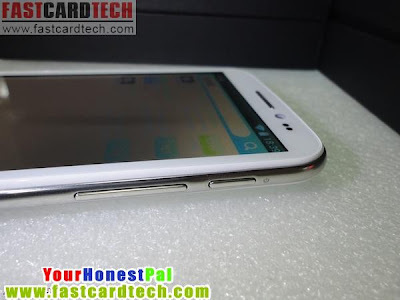 Please browse this phone or buy it here at Fastcardtech. Pics below. I do not have experience with this model but it should work fine. Performance should be similar to the other MTK6577 dual core phones. This phone has the shape closer to the real Samsung Galaxy Note 2 as you can see that the top of the phone is straight and the back camera and LED flash has the same design and position of the Original Note 2. The home button is shaped like the real thing as well. Since I do not have this phone I do not know the stability of the firmware or camera performance. RAM is 512mb and price is $199. Shipping charges apply. 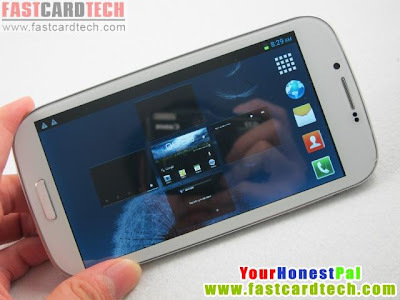 Browse or buy it here at Fastcardtech. Finally we have the Galaxy Note 2 Pro version. I really don't know what is so Pro about this. Probably because of the 1gb ram version which did not materialize. Processor is the same MTK6577 so performance should be similar to the other phones. Firmware stability and camera is unknown as I do not have this phone. This phone has a very pronounced curve at the top and looks very much like the Galaxy S3. Rear camera, LED flash and speaker grille has the same design as the galaxy S3. To me, this looks like a giant version of the Galaxy S3. RAM is also 512mb. Price is $199 with free shipping to selected countries. 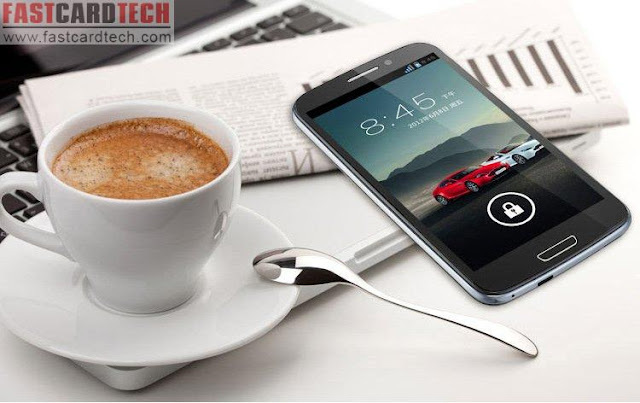 Browse or buy the phone here at Fastcardtech. UPDATE: Thanks to a reader that pointed out to me that fastcardtech has another 2 models that I may have missed. This seems to be running a real version of Jelly Bean with QHD screen and 1gb of ram but only 5mp camera. Will order this soon to review...update: received this today. Real Jelly Bean and real 5.32 inch almost IPS screen but lacking camera quality. Go ahead and order this. (10 dec 2012)review coming soon. UPDATE(10 DEC 2012):This is the same phone as the S7100. I ordered the S7100 and has the label N7100 under the battery (phone arrived today). Could be a fake 720p screen modified in build.prop software. I have the first one mentioned above and its a really great phone! I am a huge touchwiz fan so I themed it to look like the Galaxy S3. Just waiting for the Zopo update, framerate animation speeds and overall performance will be even better! I am using Apex launcher with the S3 theme and it is fast and smooth. Her Greg, thanks for all the information you provide. I’m very happy that you are enjoying your HDC Galaxy Note 2. I have a couple of questions. How is the viewing angle and does it have an IPS display? Viewing angle seems to be about 60 degrees each way (left or right) or 120 degrees viewing angle. Does not seem to be IPS. The HDC S3 Ex screen is definitely IPS. I saw your review on fast card tech galaxy note, thank you for that. How long does the battery last, how long did it take for you to receive it. Hi, fascardtech usually does reply to emails but they take a day or 2. Their English is bad so maybe they don't understand what you need. The battery for the note does indeed last a long time. Double of branded android phones, perhaps due to the modest 1ghz clock speed. This is actually not a real note so there is no pen or even slot for the pen. It is only shaped like a Note / S3 running an almost stock version of android ice cream sandwich. I know that other places sell these too but I prefer fastcardtech because I bought my first iPhone clone from them and they give me discounts for phones sold through my link. You are limited to cases but I suggest you buy an extra case or 2 so you can just swap when it gets damaged. The cases and screen protect or are not expensive. I hope you don't mind me putting your email on my blog. Thanks. I forgot to add that it took about 10 business days for the phone to arrive using ems. New arrivals take longer because I think they start selling even before they receive the stock. They will test the new products and sometimes return them to the factory to swap if something is not right so this explains some of their delays. Fastcardtech uploaded videos for both the N1700 and the S1700 yesterday. The only difference i see is the position of the camera and sensors on top. But on the description of the N1700 video they provide a link to the S1700. I don't really understand that. It appears to be Jellybean on both though. As for touchwiz, im not sure if its real touchwiz or if they skinned it to the status bar and menu framework, i am liking it though. Hi Greg, I would like to buy note that you have. Can you please tell me is 512 MB ram enough? And are there logo of Samsung anywhere on the phone? Because i don't want customs to seize it. Thank you in advance. Keep up the good work. There is no Samsung logo on the phone unless you request for it to be engraved on. 512 is enough if you have maybe Facebook and email widgets in addition to the clock and weather widgets. If you want to load all the home screens with Facebook, 2 Email, youtube, music, photo, vimeo widgets, then you would need more than 512mb. It will still run but there will be swapping of programs in the background if you start surfing heavy flash sites. It is still fast enough but not fluid smooth operation. OK. Thx. I will go with 1 GB of ram than. You never know. Is they firmware good or it is better to go with zopo one? Do i have google play in original firmware? And i see that now i will get just one battery with phone. You got 2. Thank You for all. Just go with the original firmware. Unless it is not stable, then you might want to flash the Zopo ROM. You can get it on the Zopo site. Note: 512mb and 1gb RAM version have different ROMs. Hey there Greg, say if I were to purchase the HDC galaxy Note 2 EX (1 GB RAM) still I can use your method of flashing posted on this blog but with the Zopo ZP900 Leader firmware instead of ZP900S correct? Can I simply grab and use the current release firmware by ZOPO? You can use the zopo zp900 leader ROM. Fastcardtech already advertised this on their site. Hi greg, im interested to get new phone i have htc desire for 3 years now... Im looking at this phone HDC Galaxy Note 2 N7100- MTK6577. Did I made a right pick or should i wait longer? I need your opinion thanks. Do not get that phone. It may not even be in stock. It is a risk you take if you buy that. What's more, mtk6577 performs better with qhd screen. I recommend HDC galaxy note 2 ex. This is the best and safest option. Also proven and updatable with zopo ROMs. By your statment, so you think the HDC galaxy sIII i9300 ex version(720p HD) runs less smooth than the qHD of HDC galaxy note 2 ex? S3 i9300 ex views better than galaxy note 2 ex? Hello mate, I saw that you received the HDC Galaxy Note 2 S7100... When do you plan to write a review... I want to buy or this or N7100, but it will depends! like you said Greg says that version had some problems with wifi,auto-rotation and so on in first post of blog...i made some comaparision and i must choose between HDC Note 2 180$ or HDC Note 2 H7100.....now i only knwo that 180$ version can record hd but for h7100 don t know..
Hi Greg, what do you think about those other two Galaxy Note 2 phone's they have available at FCT? I'm talking about the Note 2 Mage (or Mega) and the Note 2 GT H7100 (the one you have on your good buy list). They both seem to have 1GB, QHD screen, Jelly Bean and good Antutu score. There a so many Note 2 phone, that it's hard to see the difference :) Hope you can help me out! What do you think about those phones? Are they any good? Thank you for your reply btw! Your blog has been a good read and a great help so far! I think both models are good. The Mega is better because of the camera. The H7100 may be slightly thicker. The price difference usually say something about the quality. you think its good ? That phone is not released so don't get excited. I am not bothered by unreleased phones as it can take several months. Forget about stylus as these phones are not real note phones. 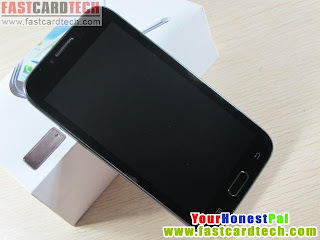 Hi Greg im planning to get the HDC H7100 galaxy note, it is of 1 gb ram. is it worth ? in terms of any lag issues, and the lifespan of the phone. i wonder how long could it last for. And will it lag if i install a lot of apps in the phone ? and the performance of gaming as well. Hey Greg, does the HDC Note 2 EX has stylus pen capabilities??? if not what is the best with stylus capabilities? There are no china phones with stylus. All stylus are the cheap fat rubber tip standard ones that works with all other phones. Note 2ex is really a good phone, identical to zopo zp900. Google it. Hi greg. There are so many videos for this line of 'cloned' note2 and i am interested to know if you are aware of any that sport a 'True' 5.5" screen? Some are advertised as 5.5 But on googling the same model i get info that the screen is 5.3". I have a 4.3 screen ATM and feel a 5.3 would feel a little small in comparison but i am not convinced there are any true 5.5" clones out there. 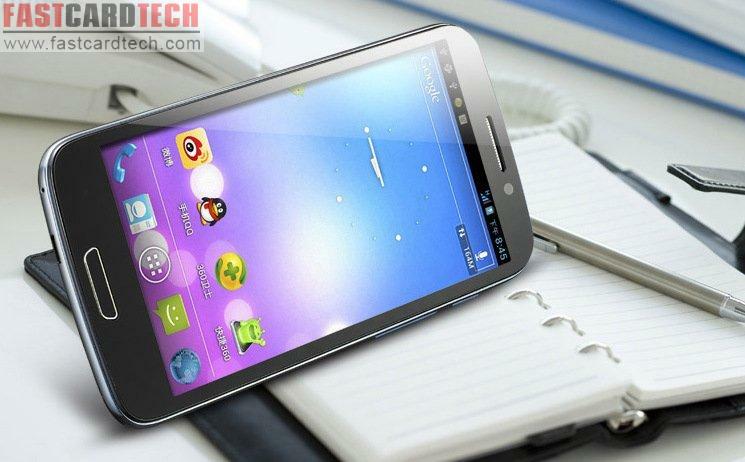 I am also considering the THL 5.7" model. Sorry i dont mean 'small' in comparison to my 4.3 i mean to say that the leap to 5.3" would not show a significant difference to what i am already used to. 4.3 to 5.3 is really significant. Imagine a Sony Xperia S next to a Samsung Galaxy Note 1. There is a 1:1 clone and that is the goophone N2. They claim that the screen is really 5.5 but no one has one yet. whih apparently comes with excellent customer support from 'Dracotek' for returns if its faulty or damaged etc. This note 2 EX version is very good but only ice cream sandwich. The star S7100 is one of the best I tested so far.....actual real name is star S7180. S7100 is the 512mb version which is currently outdated. The label below the battery should show S7100+ like in the video. All after sales service is zero from all sellers, unless it is broken and you need to send it back to fix or exchange( your cost). So you can choose between these 2 phones. The EX has better ROM because it is a Zopo ZP900 Leader OEM build and their ROM is very stable and camera better. The Ultra is Running a HD screen and will not give you maximum smoothness although it is jelly bean. The GPU will struggle slightly with HD. The EX is a slightly older model running ICS android 4.0.4 but has better stability and cameras. I do not have experience with the Lord but more expensive does not mean better here. It is the newest addition here. You need to make your own choice as we all have different needs. I just revisited the Lord page and can see that it has the updated new ov8825 Omnivision camera which is used in some Motorola models. The screen is larger at 5.7 inches. That may explain the price difference. This may be the better choice. There is the new quad core version of this phone called the N9589 on fast card too. 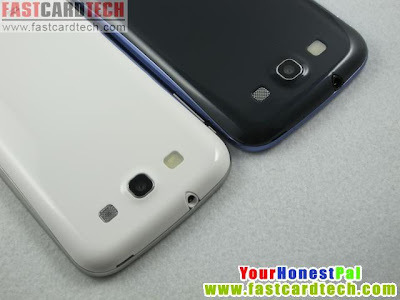 Check out my article Arrival of the cheap china made quad core phones. I ordered the HDC Galaxy Note 2 but received the Star One instead about one week back. Originally it was advertised that there are 2 batteries but I only received one battery. When I highlighted this to Fastcardtech, I was informed that only one battery was included - see the photos on the website. The phone works fine - but the battery life of the phone is bad. It cannot last more than 6 hours - you can literally see the count down of the battery life counting down from the time you unplug the phone. Something is definitely wrong with the phone I received. I will continue to monitor the phone battery situation - at this moment - I am disappointed with the battery life and that there was only 1 battery when there should be TWO batteries. Not blaming you or anything but I am disappointed. This is one of the reasons I always use PayPal. You can open a dispute case and change the phone if something goes wrong. Thanks very much for your advice. I have already complained to Fastcardtech. Will monitor the situation from Fastcardtech. Will complain to Paypal if no solution. Forgot to elaborate that the phone battery life dies in about 6 hours when the phone is idle - with minimum Wifi, no phone calls or 3G data turned on. So, the count down starts almost the moment I unplugged the phone from the charger, with no activity. I am now charging the phone when it is turned off. Let's see how it will go. Bought the phone for business trips so that incur less autoroam charges but with this condition, I cannot do anything with this phone. Unplugged phone from wall charger this morning and as expected, battery power drops immediately upon unplugging. Switched off the phone and left it at home and went to work. Came back this evening and tried to turn on the phone - phone does not turn on. Plugged in the phone to wall charger and turn on - phone does not turn on. No charging indicator light. Took out battery - waited for a while - put back into phone and plugged in wall charger - phone does not turn on. Either the phone or the battery is dead. I have made a complaint to Fastcardtech. If there is no satisfactory solution to this problem, I will definitely file a complaint to PayPal. Hopefully, this can be resolved in a civilized manner. Thanks for the earlier advice about making a complaint to PayPal. Your device has been received and checked by the factory. and the fix fee will be 88usd couse the mainboard is burnt and the screen is broken. we are now asking you if you wanna fix it or not. 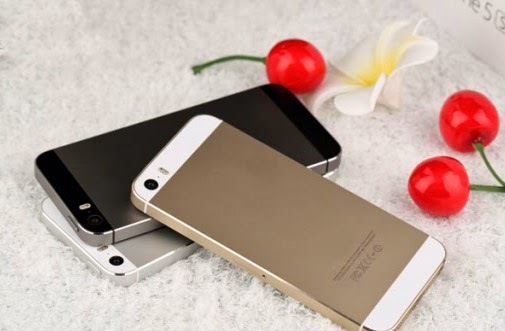 we will ship out your phone with free shipping as soon as we get the payment. if not, please pay 22usd to our account and note either to ship back your phone. ====== clearly this is a manufacturer defect how else would a motherboard burn. And now they have stopped responding to my emails, any suggestions fellow users? I have the unit. I pretty like the features. Purchased this phone HDC Galaxy Note 3 - Snapdragon APQ8064 Quad Core 1.7GHz 5.0inch IPS HD Android 4.2.2 Phone Item Number HDC Galaxy Note 3 Pro from Fastcardtech. Received the item a few hours back and discovered the phone is not rooted. I've paid the rooting service for this phone and also, there is no user manual inside the box. Mails to their tech-support never receive a reply.